The perfect gift for clients, staff and valued stakeholders. 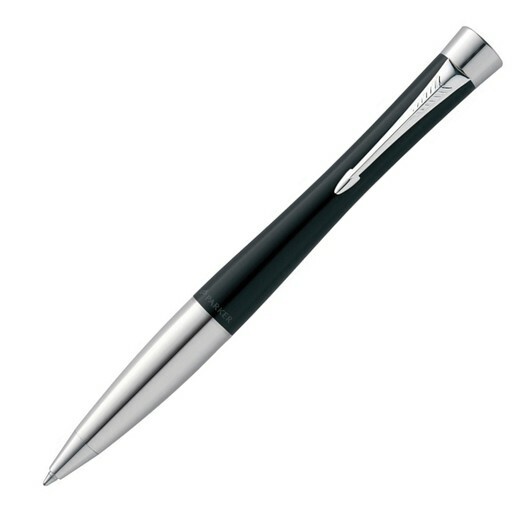 This pen features contemporary curves in a lacquer black with chrome trim. 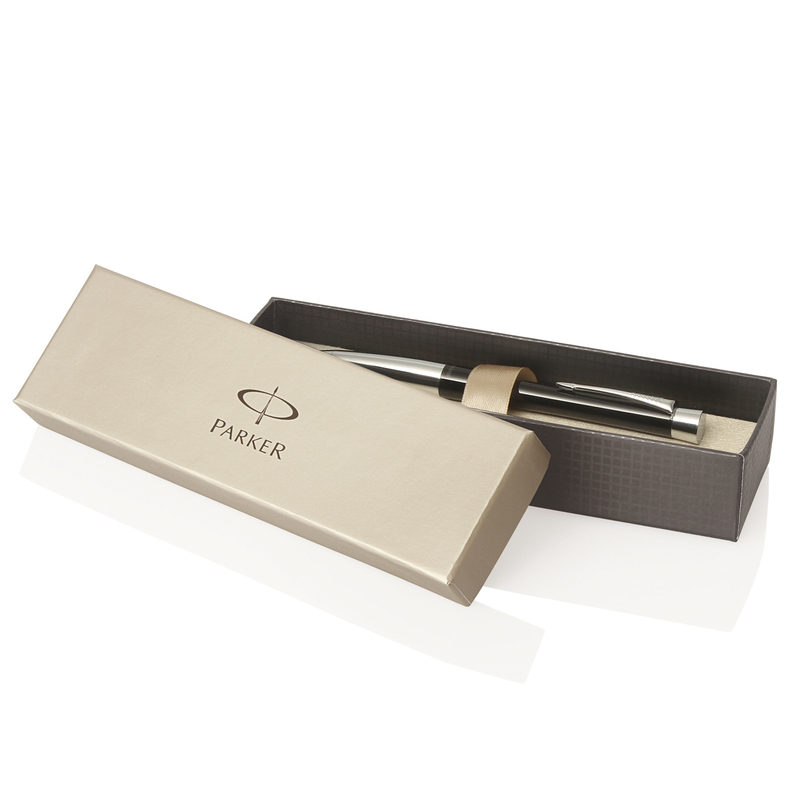 It comes presented in a Parker gift box and is a guaranteed way to impress. They have a twist-action mechanism and utilise smooth blue ink, allowing your hand to glide across the page with ease. Laser engraved with a champagne finish.